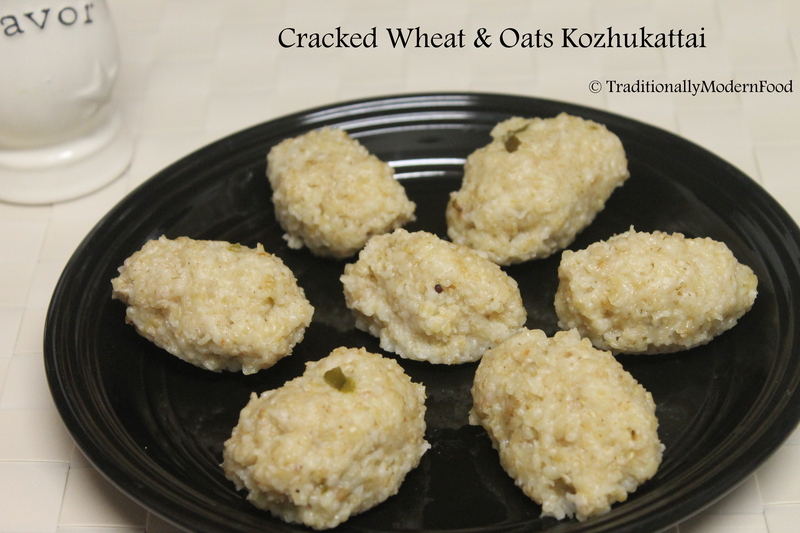 Kozhukattai is a traditional recipe prepared with broken rice. 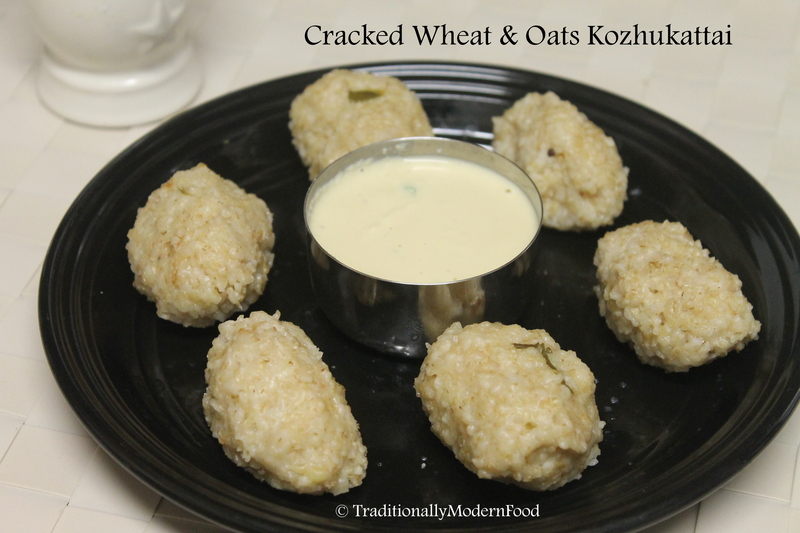 Adding a healthy twist, I have tried it with cracked wheat and oats. Rich in fibre, this is a good breakfast option. Dry roast the broken wheat and oats till a nice aroma comes. Put it in a blender and blend it coarsely. Transfer to a plate. Add oil to the pan. After the oil is hot, temper with mustard seeds, urad dal, channa dal, red chilli and asafoetida. After it splutters, add 4 cups of water, coconut and salt to taste. Bring to boil. Once the water starts boiling add the broken wheat and oats, mix well. Nice healthy combo! Loved the idea.. I love that I can use my idli steamer for more than just idli. Something like this is so new to me, but it sounds wonderful. Would love to make, after steaming, do you eat this with yogurt? how is this finished? Thanks! 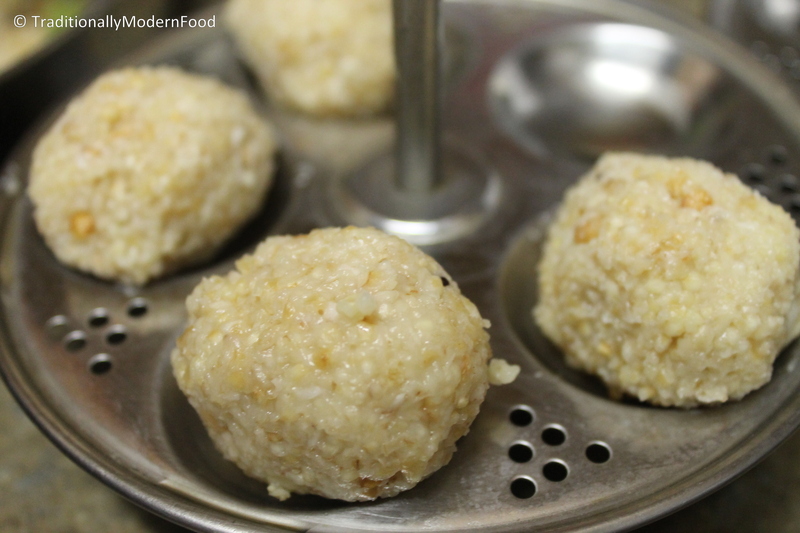 cracked wheat and oats upma looks delicious love it. Oh this is something new.. never come across a recipe like this. seems extremely nutritious and healthy! Will try for sure.